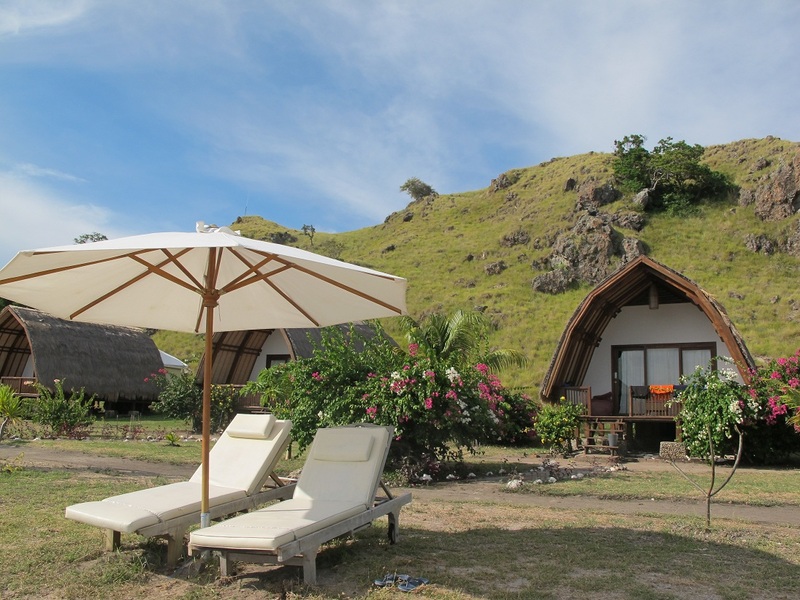 Komodo Resort & Diving Club is a beautiful boutique resort with just 16 cottages set on the pristine white beach of Sebayur Island right on the border of Komodo National Park. It’s a stunning setting before you even think about taking a look at what’s underneath the water. Since the place is Italian run, you can expect consistently amazing 5 course meals mixing European and Indonesian flavours after your day’s diving, trekking or dragon watching. 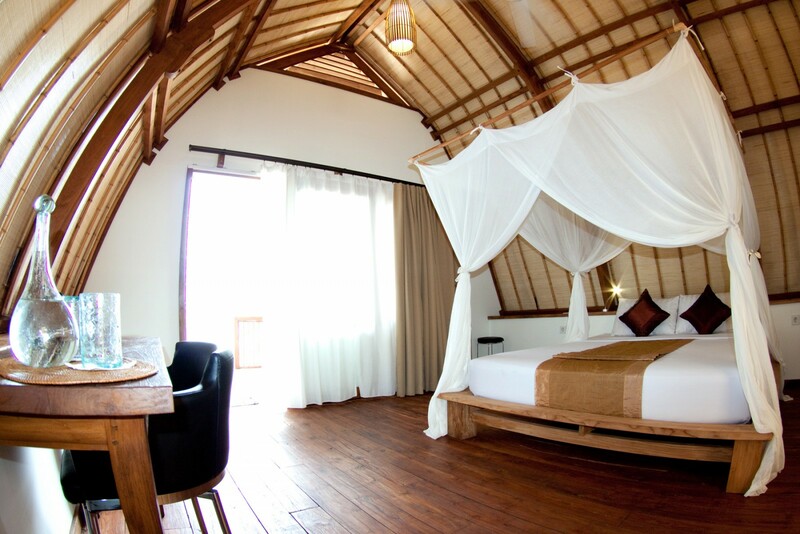 The 16 ocean facing beach cottages are styled after traditional lumbung rice barns, with high arching roofs and wooden cladding. 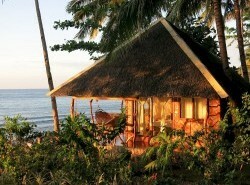 Inside, you’ll find comfy double beds or twins, the option of using AC, though a fan and sea breezes are often enough. Dining takes place in a sinuosly curved bamboo pavilion that wouldn’t look out of place in trendy Bali and there’s also an upstairs lounge area for siestas and late night cocktails. 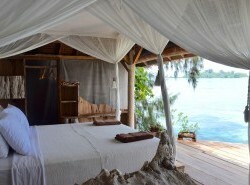 You’ll love the resorts plush dive boats, complete with bean bags, cushions and cold beers. 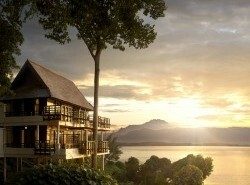 You’re just 100 metres from the edge of Komodo National Park, right in the heart of a stunning mini archipelago of volcanic islands surrounded by some incredible coral reefs. 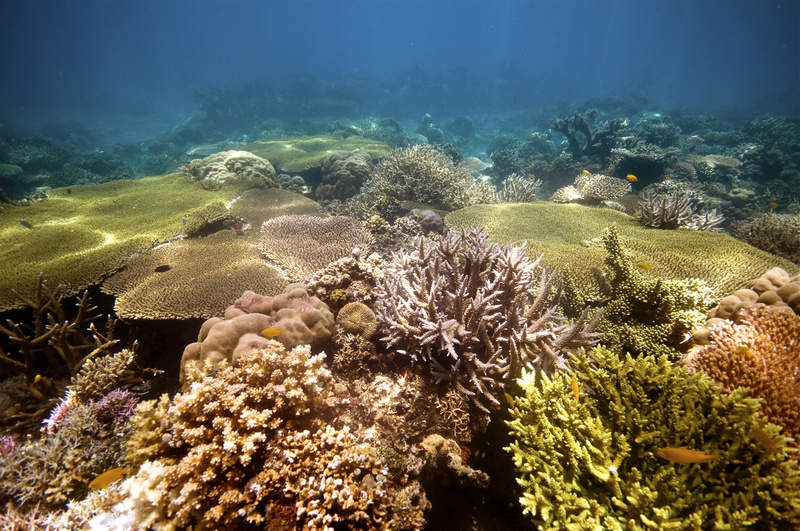 Komodo is on the bucket list of all serious divers and most of its most famous dive sites are within an hour and a half of Komodo Resort & Diving Club. You’re almost guaranteed to see mantas at manta point, while there are a myriad coral rich dive sites teeming with pelagics and reef species. Remember, currents can be strong here though! Add to this the largest living lizards on earth at nearby Rinca and Komodo Islands, birdwatching, trekking and snorkelling and you can see why this place is doing so well! 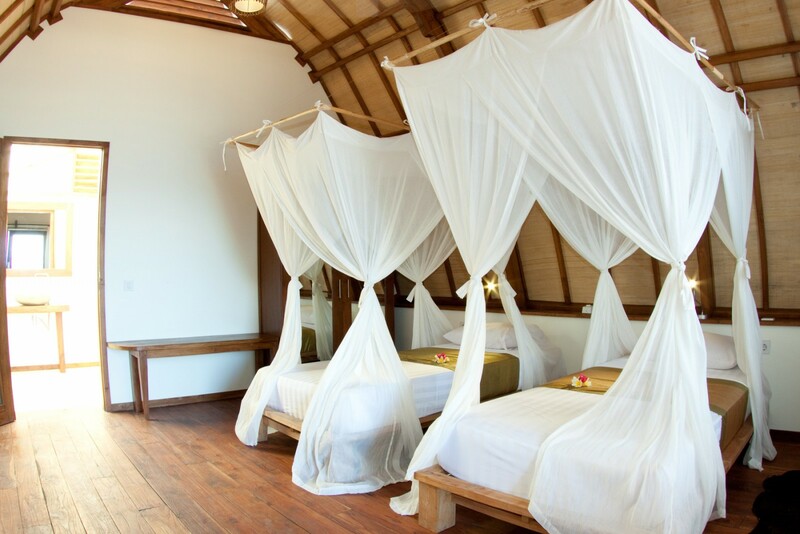 All of the beach cottages are built from recyled and sustainably-farmed teak and feature roofs of native alang alang elephant grass. The resort uses biological waste water systems, recycling grey water so that it feeds the resort’s gardens. There are plans to replace the diesel generator with a ground battery and solar panels.